After Nyne’s latest roundup incorporates everything from cocktails to foraging, and more. With its well-groomed interiors and central location, Riding House Café has long been a London Fashion Week hang out. Giving the great and good of style another reason to stop by between shows, to mark LFW SS16 the Fitzrovia restaurant have launched a collection of fashion faux pas cocktails – celebrating sharp slips of the tongue from famous fashionistas. Inspired by Kate Moss’ now infamous insult, this tipple is as basic as they come with just two ingredients Homemade Spiced Rum and Punt e Mes, served over ice. Quip about Solange dressing better than her big sis, from the pioneer of the putdown, Joan Rivers. 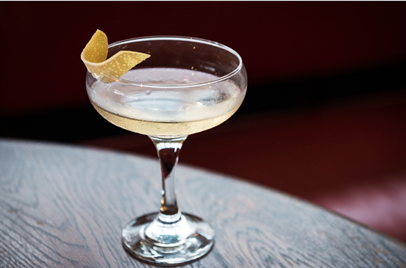 This blend of Plymouth Slow gin, Cherry Herring, Lemon Juice & Egg White will leave a sour taste in the mouth. Karl Lagerfeld came out with this corker about the other Middleton sister. Like man himself, this blend of Apple, Raspberry, Gooseberry, Honey & Lime intends to jar the senses. According to Anna Wintour, everyone apart from her is a “nobody”. Strong words the US editor of Vogue, like this mix of Tanqueray Gin, Cocchi Americano, Benedictine & Lemon Bitters. LFW SS16 at The Riding House Café – cocktails as sharp as this seasons tailoring. Brave Enough For London In The Sky? London in the Sky returns this September with a brand new location and chef line-­up. Suspended 25 metres from the ground the restaurant offers breakfast, lunch, dinner and Champagne Taittinger flights for guests looking to enjoy the best food and drink London has to offer, in an exhilarating environment and tickets are now on sale. This year the view moves from the skyscrapers of Canary Wharf to the beautiful vistas around South Bank. The restaurant will run from the 17th to the 30th September 2015 on Upper Ground, running parallel to the river. The table seats 22 guests, with food prepared and served in front of diners by some of London’s finest chefs in the centre of the table up in the sky. 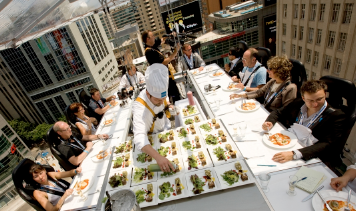 Guests are securely fastened-­‐in before the platform is raised from the ground and their gourmet experience begins. Food will come from Dan Doherty of Duck & Waffle, Robert Ortiz of Lima, Mark Sargeant of Morden & Lea, Sophie Michell of Pont St, Mike Reid of M Restaurants, Martin Morales of Ceviche and Andina, Tom Aikens of Tom’s Kitchen, Calum Franklin of Holborn Dining Room, Chantelle Nicholson of Tredwell’s from Marcus Wareing and Peter Weeden from Newman Street Tavern. Each of these restaurants serves guests a menu of signature dishes during the fourteen-­‐day festival. Lunches and dinners enjoy paired with Villa Maria wines with the addition of Dinner guests enjoy a Champagne Taittinger reception with all. The Lucky Onion, the Cotswold-based collective of hotels and restaurants, are hosting A foraged feast with Jack Adair-Bevan and Gill Meller at The Wheatsheaf on Sunday 13th September as part of the ‘The Lucky Onion Club presents’ series. 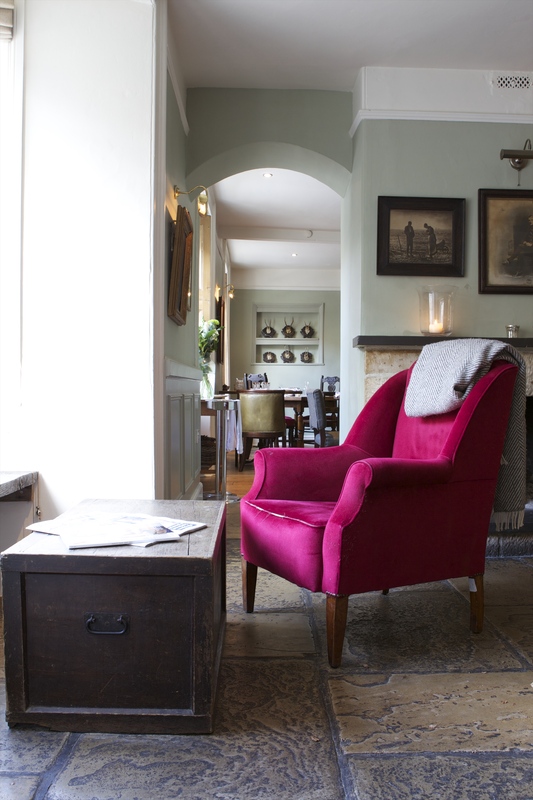 Jack, owner of The Ethicurean, and Gill, Head Chef at The River Cottage, will lead guests around the Cotswold woodlands surrounding The Wheatsheaf Inn in Northleach, armed with maps and tip sheets, scouring fields and hedgerows for the best seasonal ingredients. On returning, Gill and the chefs will rustle up a Sunday supper using some of the foraged ingredients from the explorations, whilst Jack will delve in to the Ketel One Vodka Kitchen to create cocktails that will also use the produce and herbs from that day’s haul. The foraged feast is part of the ‘The Lucky Onion Club presents’ series events, which are hosted family-style and are put on by the guest chef along with The Lucky Onion owners Sam and Georgie Pearman, who often continue the festivities well in to the evening. Other upcoming events include NOPI at No. 38 at Cheltenham Literature Festival, hosted by Yotam Ottolenghi and Ramael Scully, and a Nose-to-Tail Pigfest with Fergus Henderson at The Chequers Churchill. 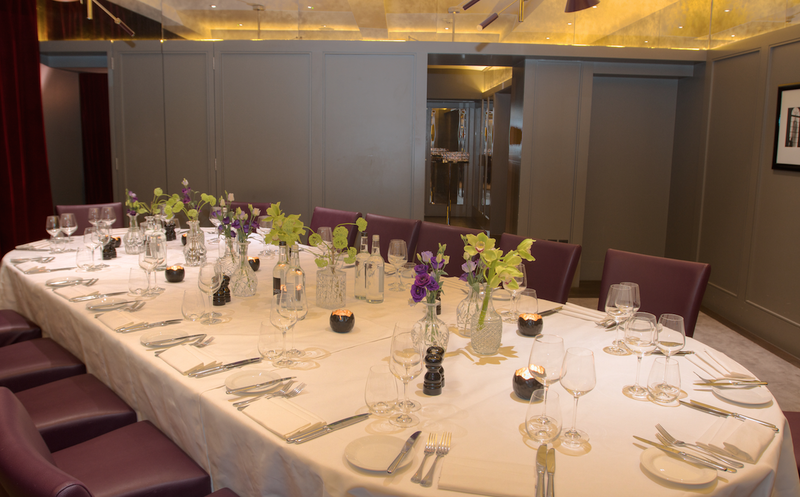 Classic American restaurant and bar, Christopher’s in Covent Garden has teamed up with Courvoisier for a one-off dinner pairing three expressions of cognac with three decadent courses. Taking place in Christopher’s opulent Club Room, diners will tuck into Salmon Carpaccio with Avocado Pearls, Chipotle Chilli, Cognac & Lime Dressing, Pan-Fried Fillet of Beef with Olive Oil, Confit of Carrots, Chervil Root Cream, Cognac and Peppercorn Sauce and Crème Brulee with Berry Pudding & Ricotta Ice Cream. To accompany the three course feast, Courvoisier have supplied a trio of extra special cognacs, showcased by Global Brand Ambassador Rebecca Asseline. Tickets are just £55 per person including a pre-dinner cocktail, three courses matched with three expressions of Courviosier. Posted in art and tagged foodie, foodie events, hotels, lifestyle, restaurants, top events. Bookmark the permalink.